We all love to fall into a nice, cozy bed at the end of the day. 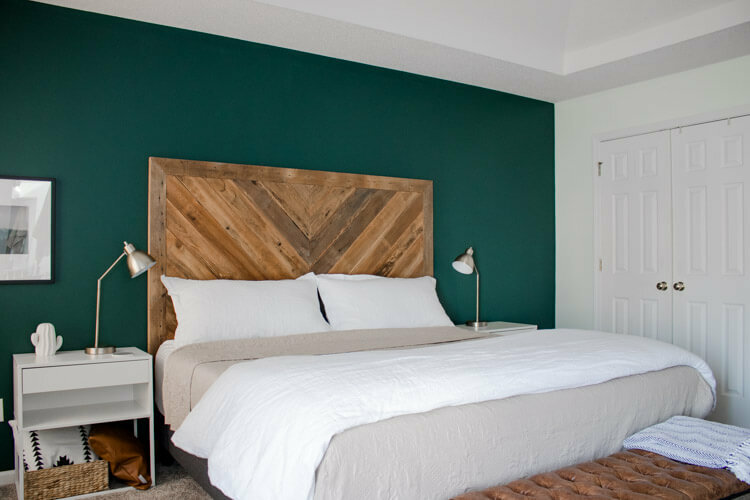 Typically when we think of a cozy bed we think of lots of layers of plush blankets and comforters and a million throw pillows. 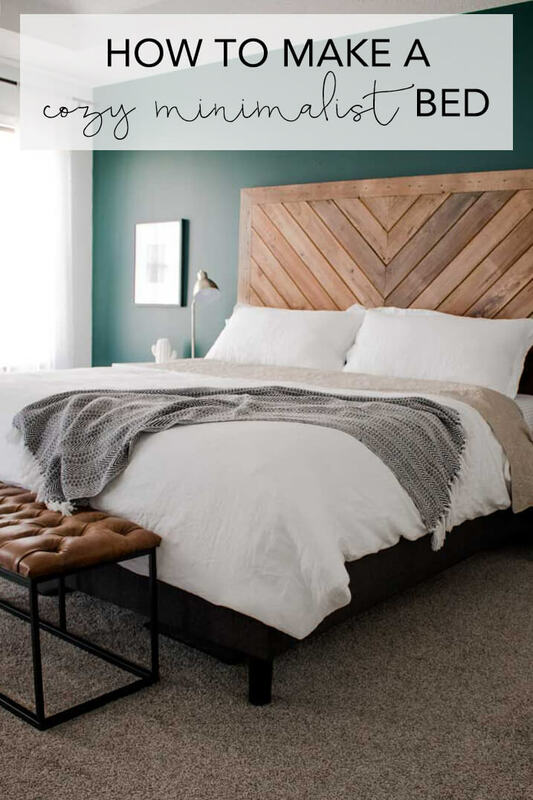 But what if I told you that you can create a welcoming oasis with a lot less on your bed? I recently ditched all the unnecessary items on our bed and figured out how to make a cozy minimalist bed. Up until a few months ago, I did exactly what I saw all over Pinterest. I kept my bed piled high with blankets and pillows. While I liked the way it looked, I didn’t love the constant mess of all the throw pillows. My 3 year old was constantly throwing them off the bed throughout the day and I was constantly tripping over them all when I got up with my baby in the middle of the night. I finally decided that it made no sense for me to simplify the rest of my home but (try to) keep 8 pillows on my bed at all times. Seriously, that’s how many I had at one point! 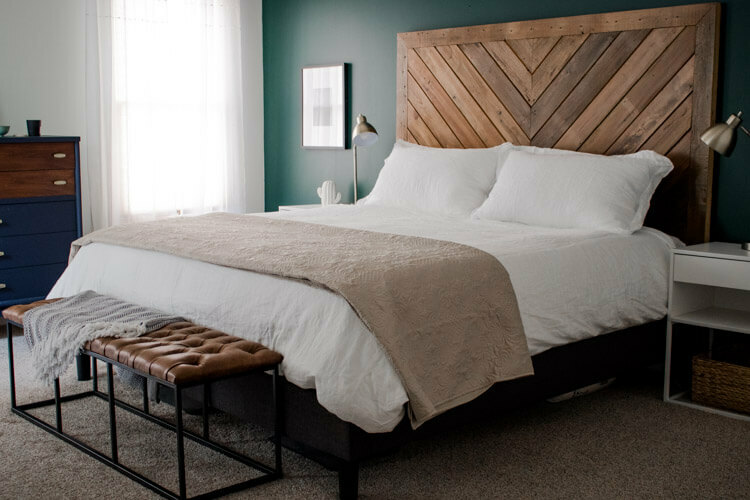 I ditched the throw pillows and looked for a new way to create a cozy minimalist bed. These 4 things ensure that everything on your bed is functional and you still have enough layers to stay comfortable all night long. AND you’ll still be able create a stylish looking bed when it’s made during the day. And there’s so many ways to arrange your layers to achieve different looks depending on your style. 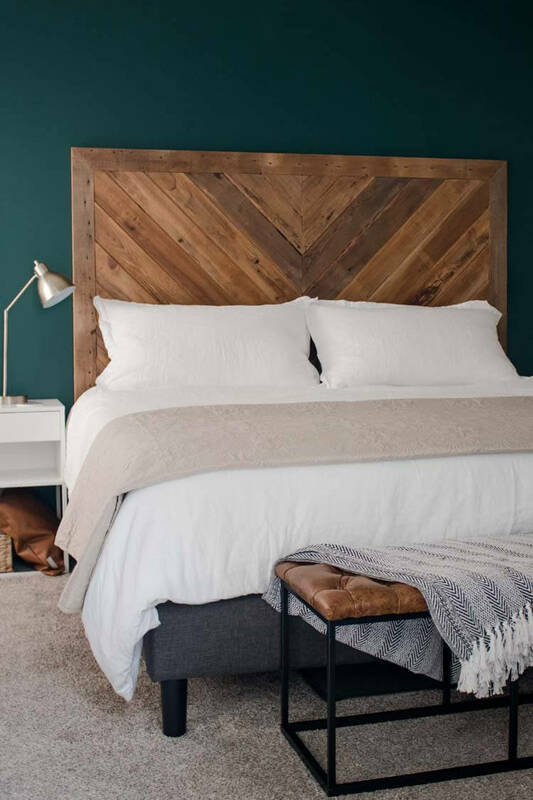 The real key to a stylish bed is to make sure you incorporate a variety of textures in the different pieces you choose. If every item is aesthetically pleasing and functional, you can’t go wrong. First up is my favorite and the way I normally keep our bed styled. I’m a typical millennial and don’t use a top sheet because my husband typically kicks it to the bottom of the bed, but I love using a quilt in its place. The quilt we have has the perfect pattern and is so soft and perfect for layering because it’s warm, but not too warm. I have our linen duvet on top of that, which gives our be such a cozy look and feel. I just toss the throw blanket on top (great to use for naps without unmaking the bed), draped over one corner and we’re good to go. So simple for making the bed. 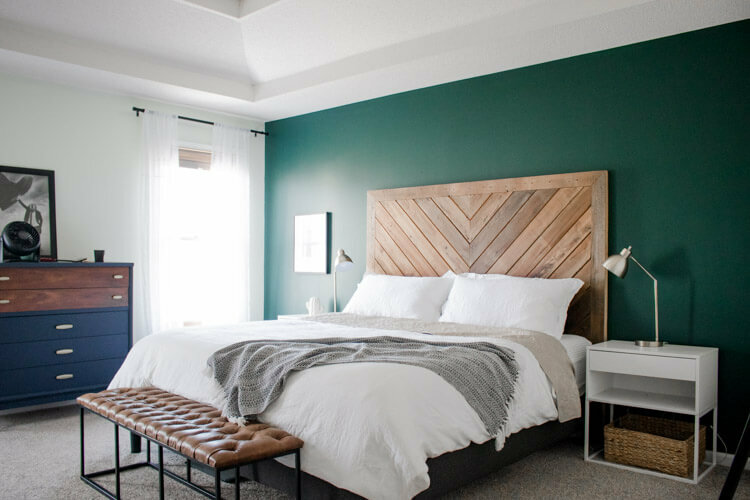 I included sham pillows in our bedding must haves because 1) they help pull the look together and 2) they add some extra back support when you’re sitting up in bed. So while they’re there for looks, they’re also functional, meeting my bedding requirements! If you want a cleaner look, you can put the duvet under the quilt and tuck the quilt in. Most king size duvets don’t hang down long enough to tuck in well on their own, so it’s helpful to put the quilt over it. I also love the how organic the color of this one is. 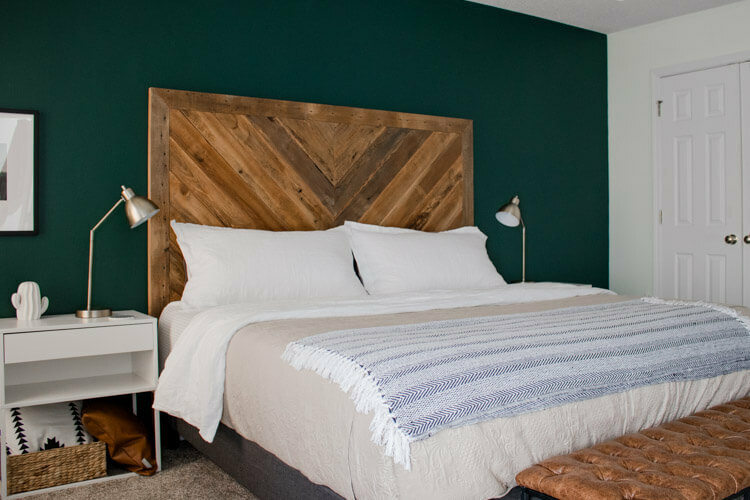 If you’re not comfortable with a completely stark white bed, this is a great option! Another idea is to treat the quilt like a throw blanket and fold it over the end of the bed. You can quickly pull it up to use it when you’re ready for bed. Or reverse the look and keep the quilt on bottom and fold the duvet over the end to add some volume to your look. 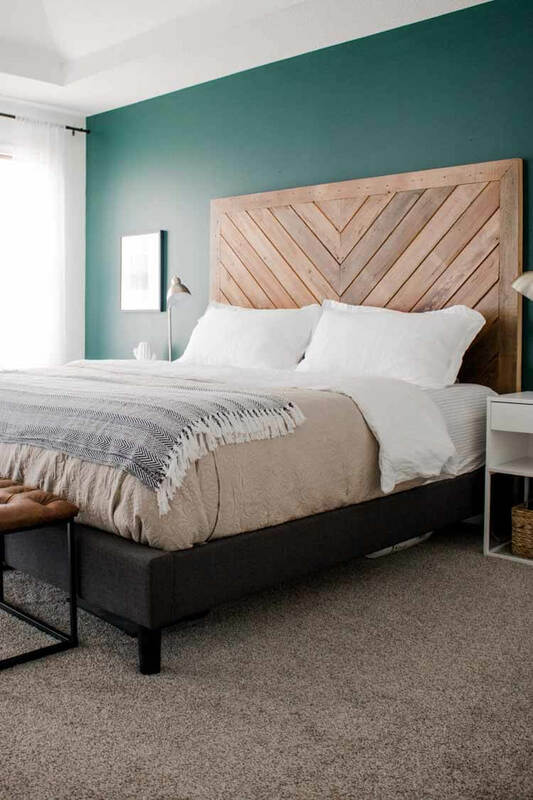 There are seriously so many different ways to make a bed even without the throw pillows. I didn’t even try any looks with the quilt untucked. But now that I think about it, I think it would be a nice relaxed look. 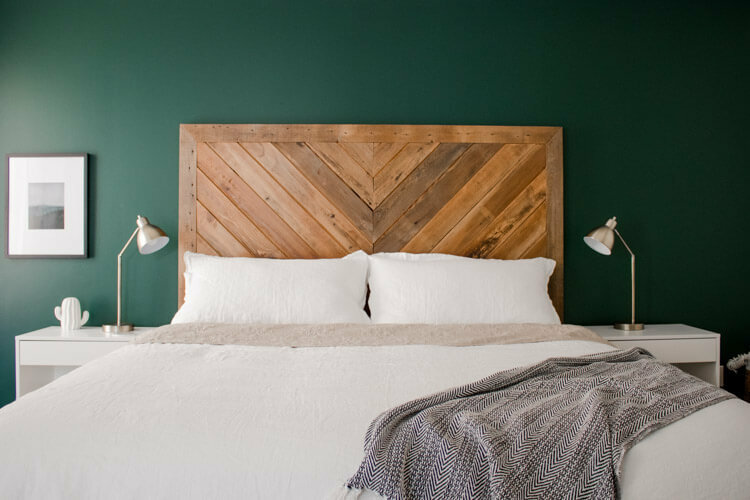 I just think this simplified bedding is so much easier to maintain than more typical decorative looks. I’ve been living without the extra stuff for a few months now and have not missed it one bit! If you prefer to watch awkward youtube videos, I have one of those too!